← Richter Publishing Author, Steve Gavatorta, Set to Speak at the Quarterly TBONE Event! Don’t Miss Richter Publishing at the AWP Conference and Book Fair March 8th-10th! 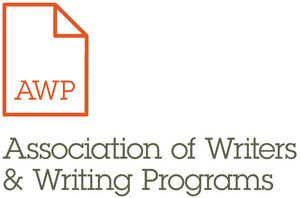 Richter Publishing will be at the AWP Conference and Book Fair, the largest literary conference in North America, this Thursday–Saturday. The AWP Conference & Book Fair is an essential annual destination for writers, teachers, students, editors, and publishers. We will be at booth number T1751 with our bestsellers and also handing out some goodies, and are ready to help you get started on your publishing journey! The conference is being held Thursday, March 8th to Saturday March 10th from 9 am to 5 pm daily at the Tampa Convention Center. Purchase tickets through the link below. Comments Off on Don’t Miss Richter Publishing at the AWP Conference and Book Fair March 8th-10th!